I did this aaalmost exactly the same as I did last year, same polishes and everything – except this time I added some Essence Hello Holo to the tips for extra sparkly goodness. Oh, and here’s some guest fingers! 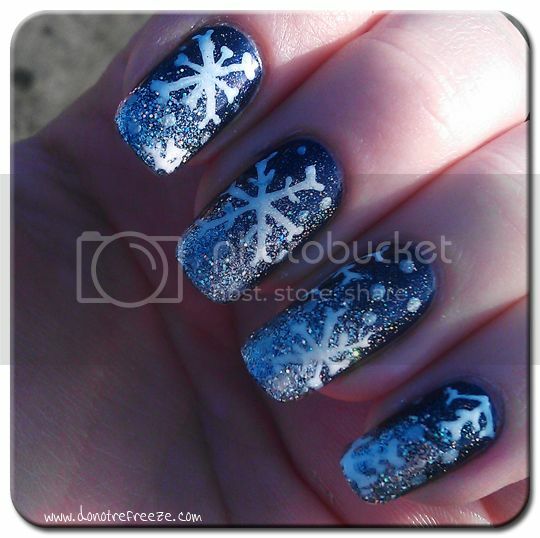 My bestie Coral loved my snowflake nails and asked if she could have some too. 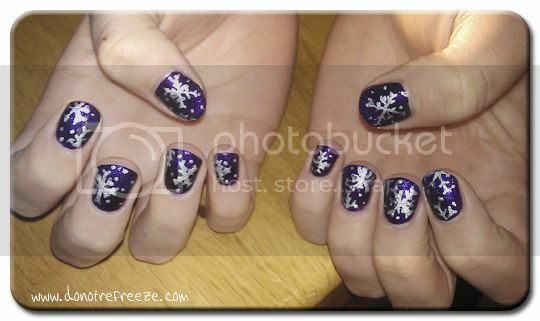 For hers, I used Illamasqua Baptiste as the base colour, Nubar Violet Sparkle for glitter, and silver snowflakes instead of white. So, in other news, I’m spending my first ever Christmas away from home this year. This will be the fourth Christmas that Colin and I have been together, so we figured it was about time that we actually spent it together! I’m off tonight, and won’t be coming home until the 3rd of January. I’m afraid I haven’t got any posts scheduled for the time I’m away, but I’m sure we’re all going to be busy over the next week or so! If I don’t get round to writing any posts between now and the 3rd, then I’d like to wish each and every one of you a very Merry Christmas and a Happy New Year! 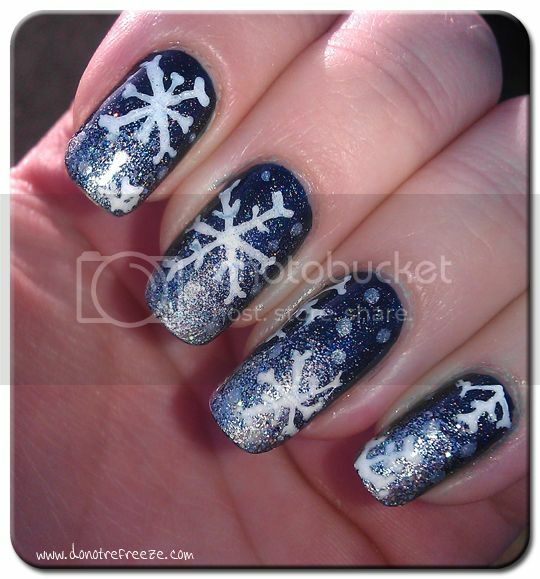 Space Nails – BYS Glam Glitter revisited! 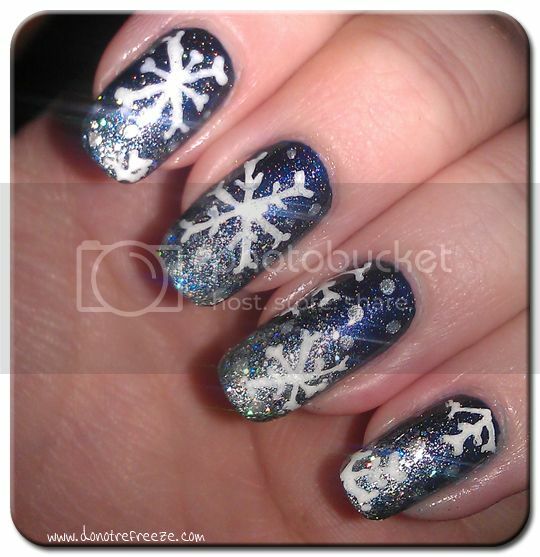 I love these, they’re so pretty :) I wish I had the patience to draw snowflakes on every nail haha. I hope that you have a wonderful Christmas, and an amazing new year!! 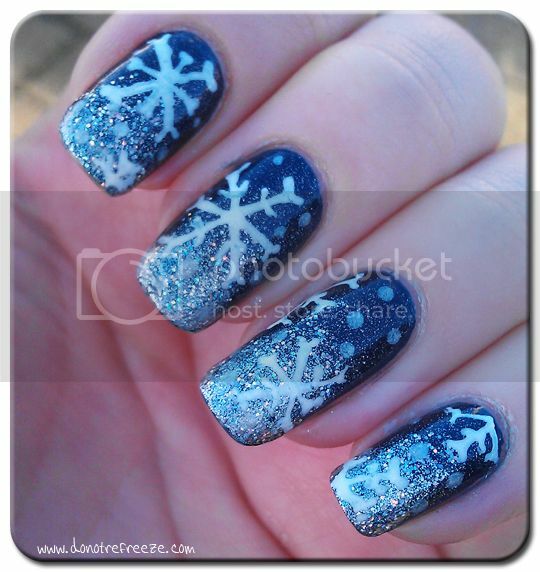 This looks great.I think it looks lot prettier how you did it now than last time.It looks cute and fun!